Siva kami was married at ten, widowed at eighteen, and left with two children. According to the dictates of her caste, her head is shaved and she puts on widow's whites. From dawn to dusk, she is not allowed to contaminate herself with human touch, not even to comfort her small children. Siva kami dutifully follows custom, except for one defiant act: She moves back to her dead husband's house to raise her children. There, her servant Muchami, a closeted gay man who is bound by a different caste's rules, becomes her public face. Their singular relationship holds three generations of the family together through the turbulent first half of the twentieth century, as India endures great social and political change. But as time passes, the family changes, too; Sivakami's son will question the strictures of the very beliefs that his mother has scrupulously upheld. 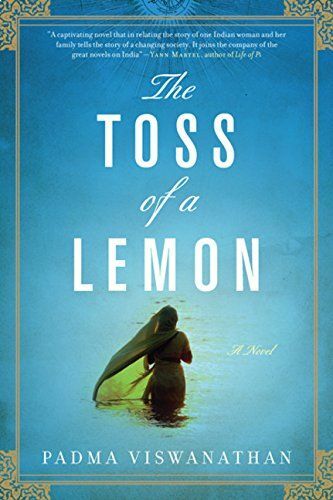 The Toss of a Lemon is heartbreaking and exhilarating, profoundly exotic yet utterly recognizable in evoking the tensions that change brings to every family.